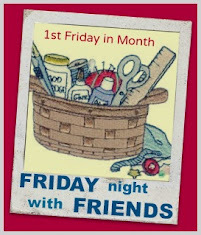 FNSI tonight…….and I’m sooooo ready! Lovely projects you are working on tonight Wendy. I have finished off one of the "Christmas Fun" blocks. Nice to see another qlder at the fnsi! I'm working on my own humungous quilt, trying to get it finished and bound! Next one is smaller! Finishing and framing two very nice F words --- lovely work. You go girl!!! What great projects!